Inspired by my love of lasagna and my love of strata, I came up with this Lasagna Strata. 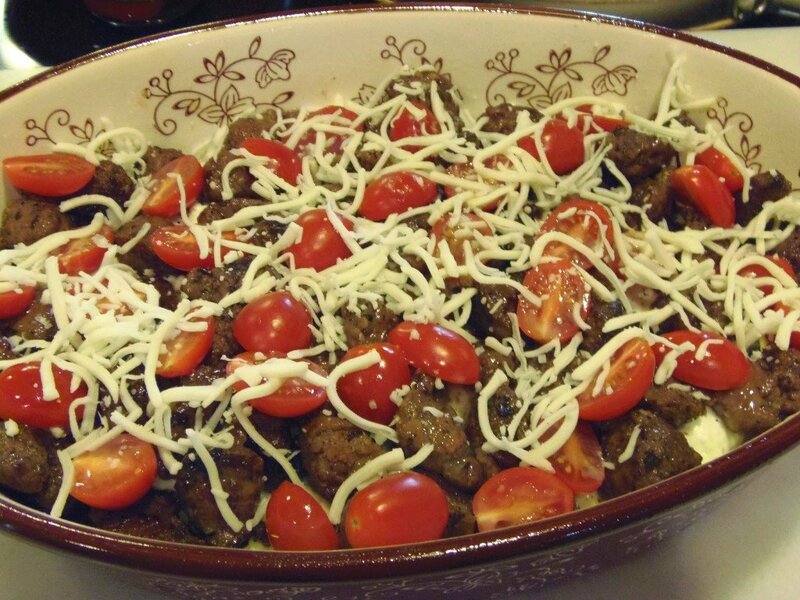 Layers of Italian bread, Italian sausage, grape tomatoes, and cheese come together nicely with, what else? Eggs!! Sounds weird, tastes great! 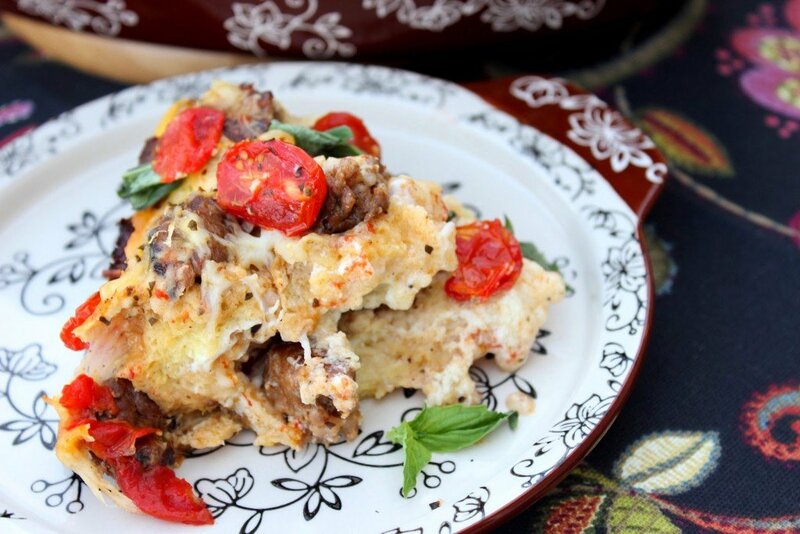 I had an idea to make this Lasagna Strata but wasn’t sure how it would turn out. Either it would be a giant disaster or it would be something unusual and tasty. Time would tell, and I was up for the challenge of discovery. I browned, sliced, whisked and layered. Before long I was ready to bake, so I crossed my fingers and hoped for the best. As happens, the strata puffed nicely in the oven and deflated a little once removed and allowed to cool. It smelled amazing as it baked, so I was pretty pleased with how my experiment was turning out so far, but as we all know, the real test is in the taste. Once sufficiently cooled, but still hot enough to enjoy, the Lasagna Strata served up nicely. The cheese layer had pretty much melded into the egg and bread so the layers were pretty much undetectable, but you definitely could taste that they were in there. I didn’t think the combination of tomato sauce and eggs would be very appetizing so that’s why I went with the grape tomatoes instead, and I’m glad I did. I think they look pretty all dotted on top of the strata and the layer of grape tomatoes on the bottom of the casserole dish provided an anti-stick surface once they baked and let off their liquid. 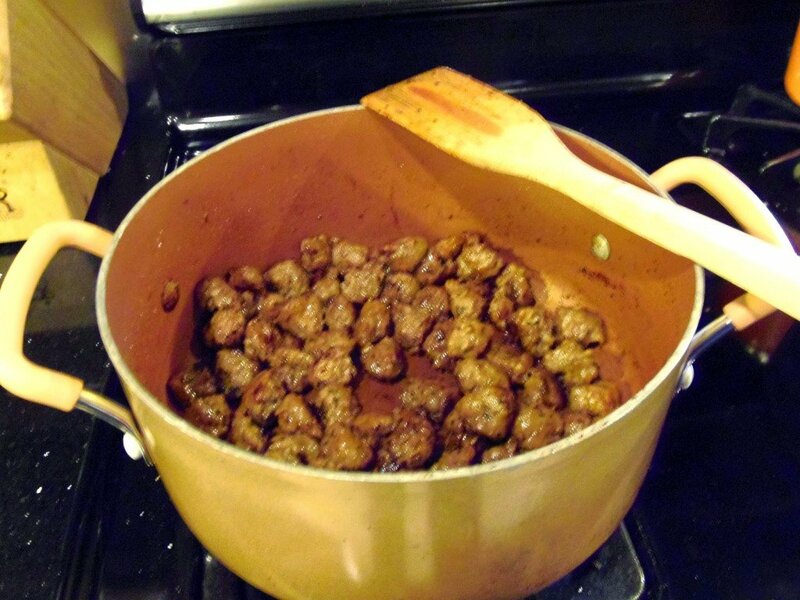 -Brown the sausage in a large pot over medium/high heat. Stir in 1/4 teaspoon basil and 1/4 teaspoon oregano. Remove once browned and set aside. 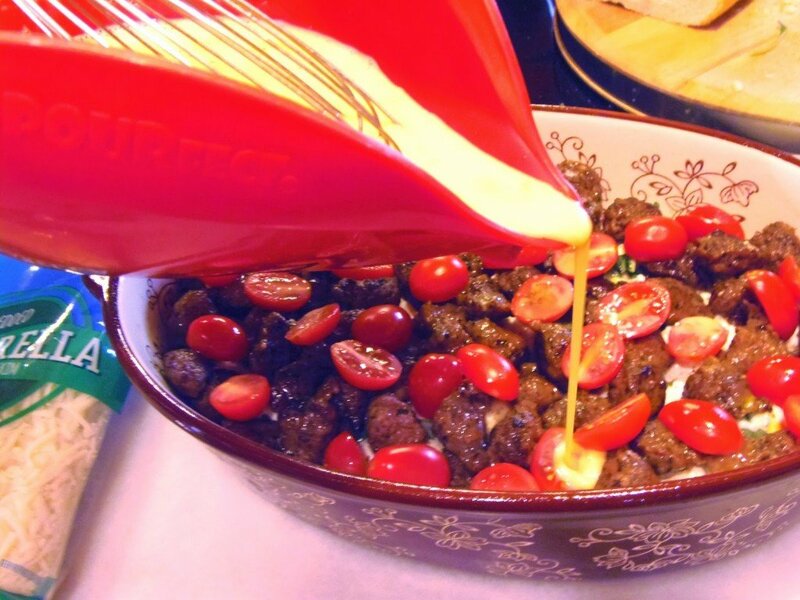 -Place 1 pint of the sliced grape tomatoes into the bottom of a 3 quart casserole dish that’s been sprayed with cooking spray. 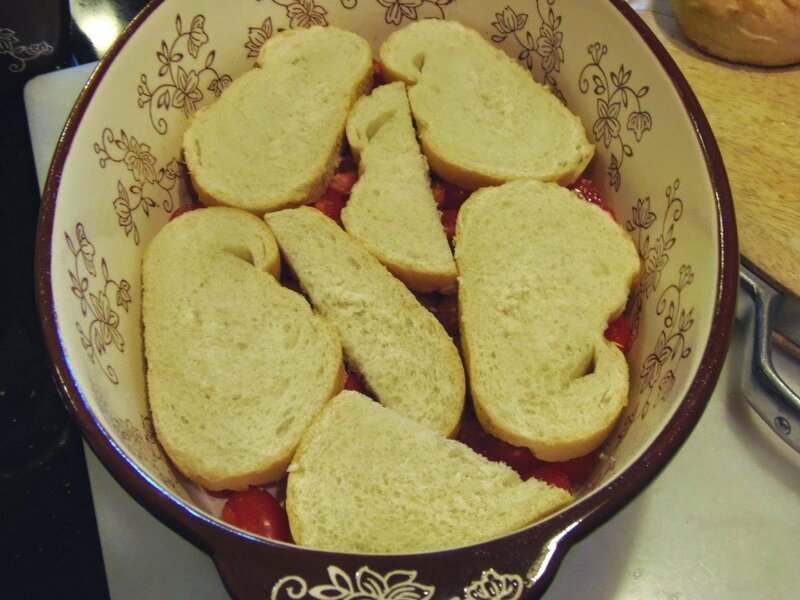 -Top the sliced tomatoes with 8 slices of the bread, arranging to fit the dish. 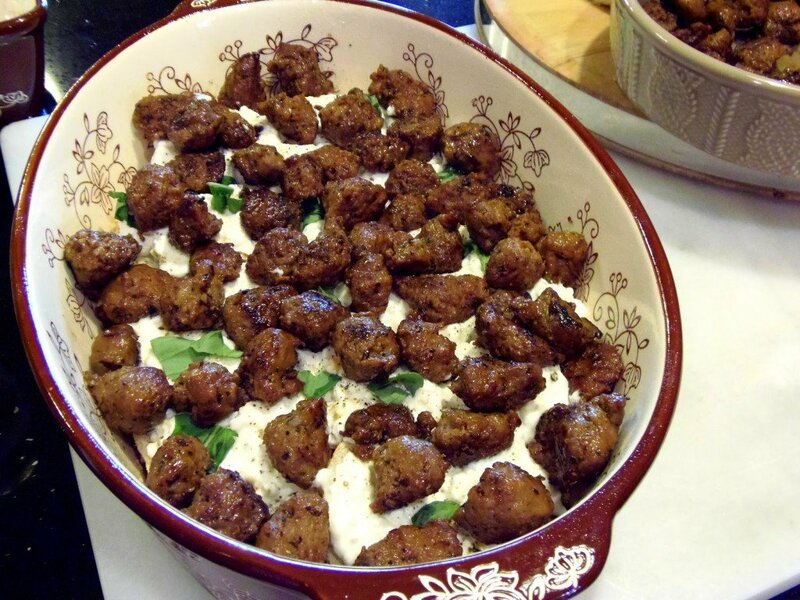 -In a medium bowl, stir together the ricotta and cottage cheeses. Stir in the garlic. 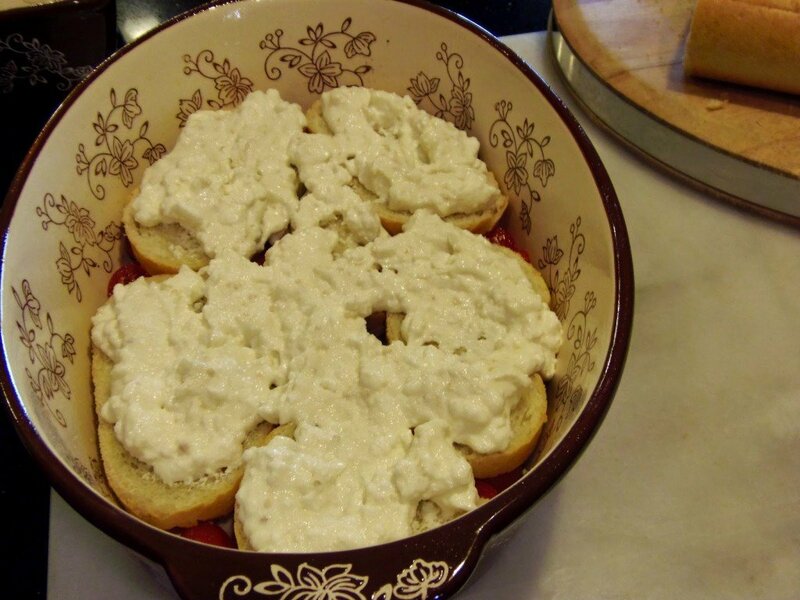 -Spoon and spread half of the cheese mixture over the bread slices. 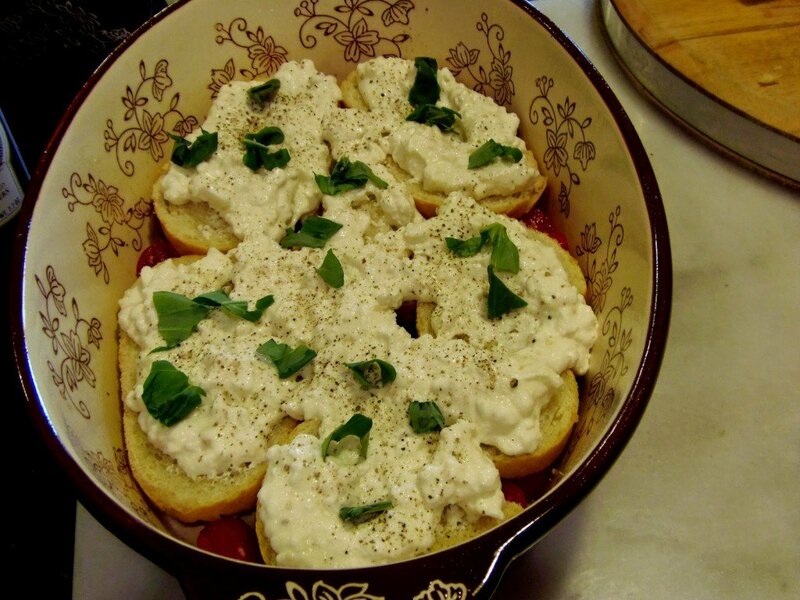 -Sprinkle half of the mozzarella cheese over the ricotta mixture and top with half of the torn basil leaves. 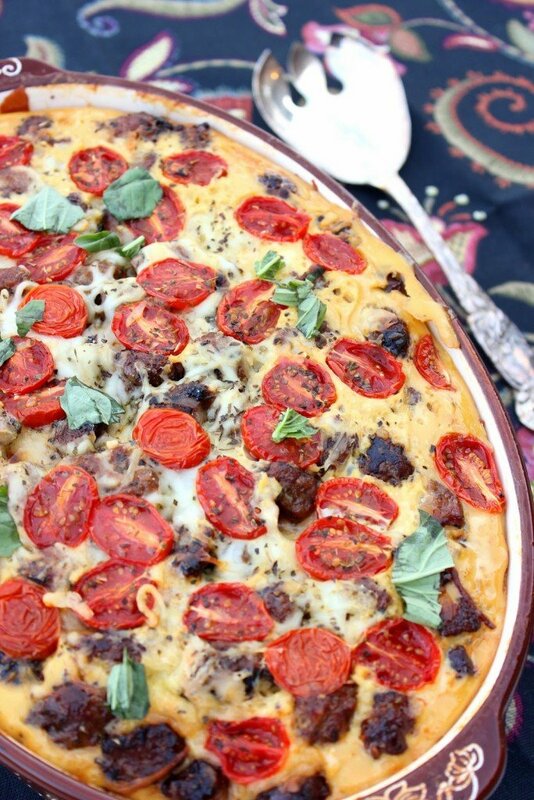 -Layer in half of the browned sausage and more sliced tomatoes. -In a large bowl, whisk together the eggs, milk, 3/4 teaspoon salt and 1/4 teaspoon pepper. 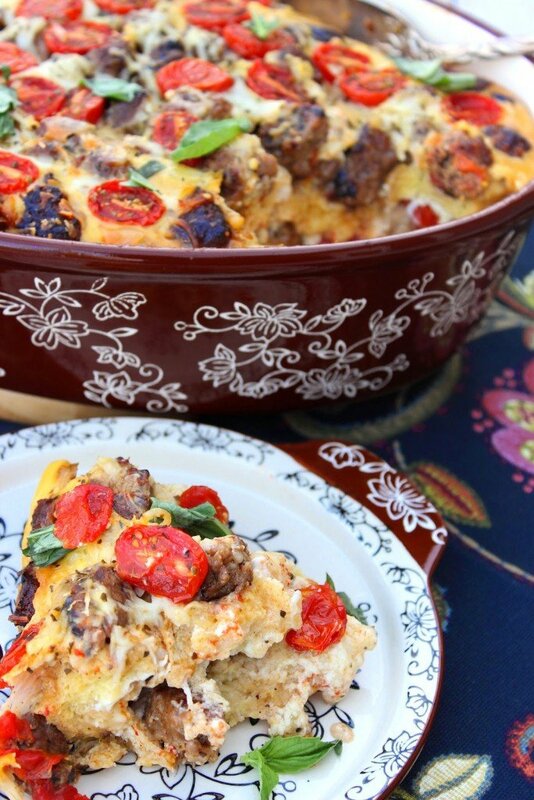 -Pour half of the egg mixture over the sausage/bread layers and repeat with an additional layer of bread, ricotta, sausage and eggs. -Top the strata with the remaining sliced tomatoes, mozzarella and Parmesan. -Cover and and refrigerate for at least 4 hours or overnight if you’re serving it for breakfast or brunch. 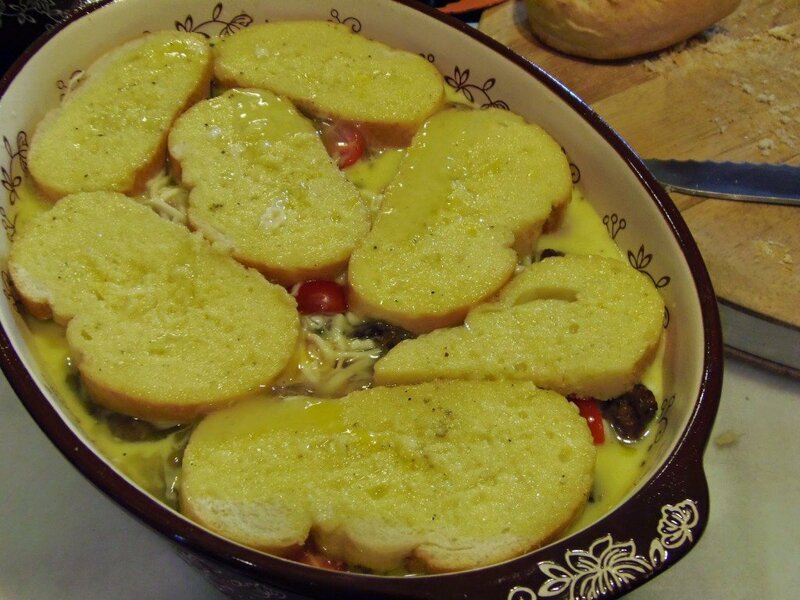 -Bring the strata to room temperature for 30 minutes before baking. -Sprinkle the top with additional dried basil and oregano. -Bake the strata uncovered for 1 hour 25 minutes, and then cover and continue baking for 40 additional minutes until the center is set. -Cool about 20 minutes before serving. Brown the sausage along with dried oregano and dried basil. Set aside. 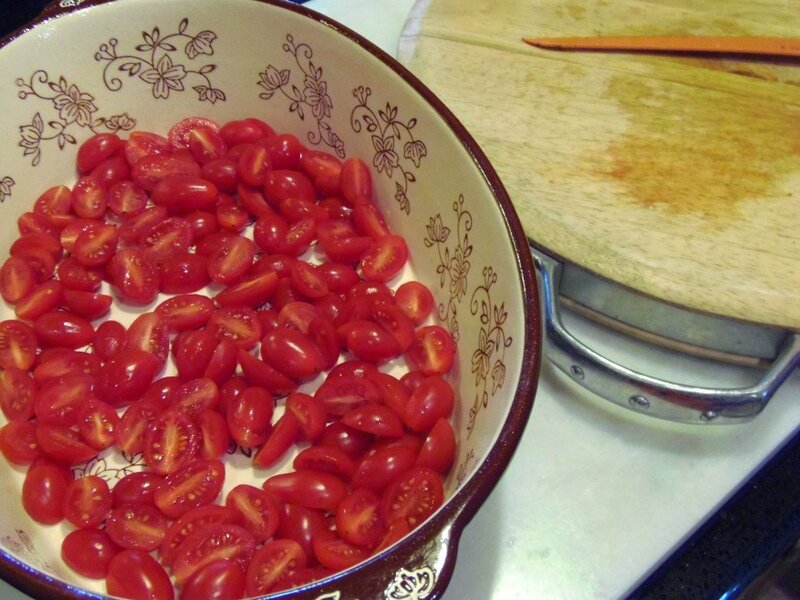 Place half the tomatoes in the bottom of a 3 quart baking dish. Top with sliced Italian bread. 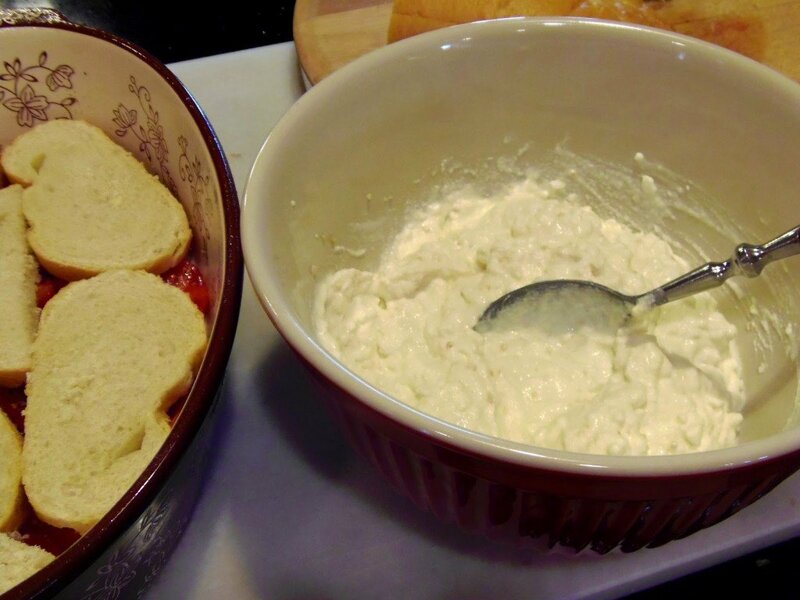 Mix together the ricotta and cottage cheese. Spread over the bread slices and top with half of the mozzarella cheese, half of the torn fresh basil leaves and the browned sausage. 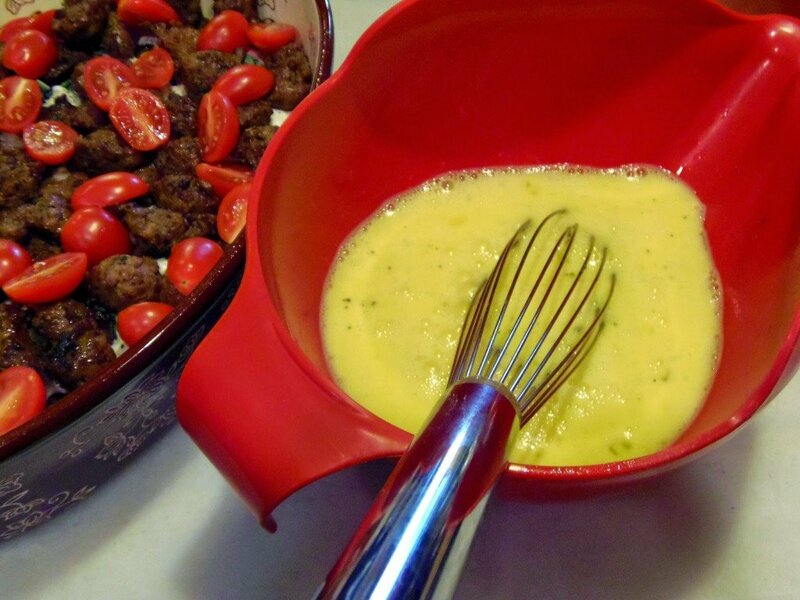 Whisk the eggs, milk, salt, and pepper and pour half evenly over the contents of the casserole dish. 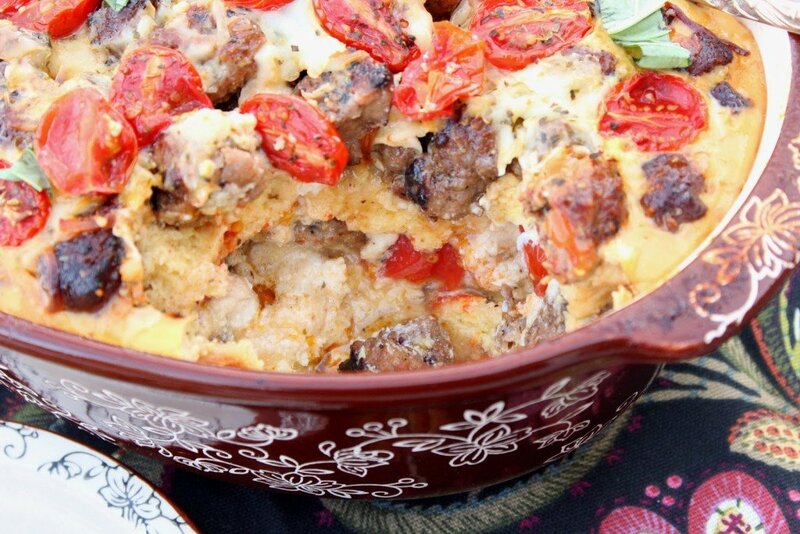 Repeat with an additional layer of bread, ricotta and cottage cheese, sausage and eggs. Top with additional mozzarella and Parmesan. Cover and refrigerate at least 4 hours (or overnight). Bake the strata in a preheated oven for 1 hour 25 minutes and then cover and continue baking until the center is set. Allow the strata to cool for about 20 minutes and then spoon on plates and serve hot. I hope you’ve enjoyed this recipe as much as I’ve enjoyed bringing it to you. I’d like to take to quick moment to coordinate this recipe with a fun wine glass design that depicts the merriment of the season. Elf of the shelf, anyone? Oh, yeah! I'd eat this any time of the day. It sounds amazing!!! 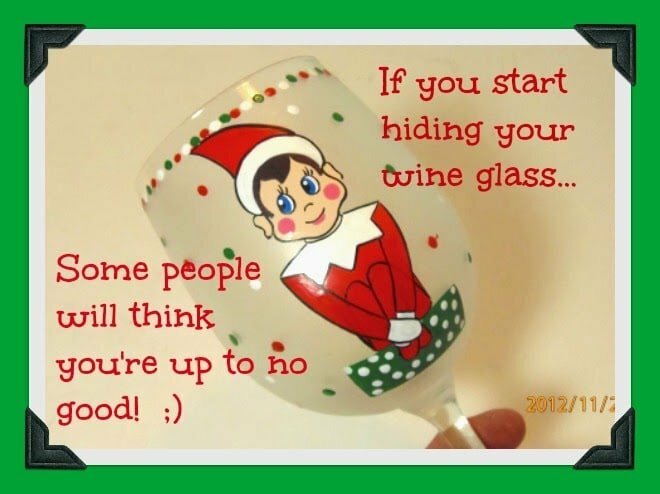 The colors of the tomatoes and basil is gorgeous and the elf on a shelf glass is so cute! Oh wowzers! I'll take two slices please. Yum! 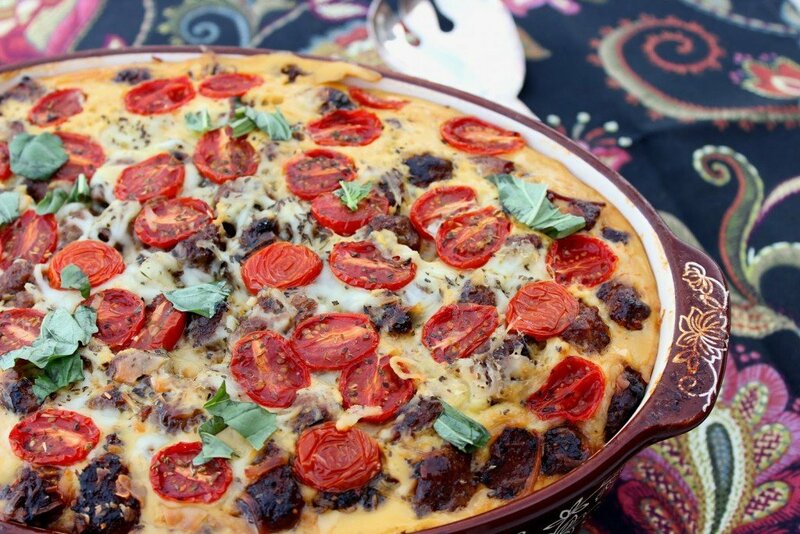 I have a ham and cheese strata recipe that is our traditional Christmas morning brunch. This one sounds so good and different! Love it. I am digging this colorful dish! Great idea!! I'm glad you combined these two dishes because it looks amazing! This sounds amazing and ricotta soaked bread is right up my alley! I had never heard of strata before. It looks MAGICAL. Seriously. Yes, I agree – those tomatoes look gorgeous on the top! This looks hearty, satisfying, and insanely delicious Renee. OMG this is utter heaven – Renee – you really outdid yourself! This recipe is so being made! Can we just discuss that my family would SWOON over this! Totally going to try this soon! Isn't it great when an experiment works out? I'm kind of in love with strata and mixing with lasagna is taking it to the next level! That looks fantastic! What a great, fresh take on lasagna. I want to dig right in.